Cellist Beiliang Zhu is a rising star in the early-music world: She won first prize at the 2012 International Bach Competition, the first string player to win for performing on a baroque instrument. 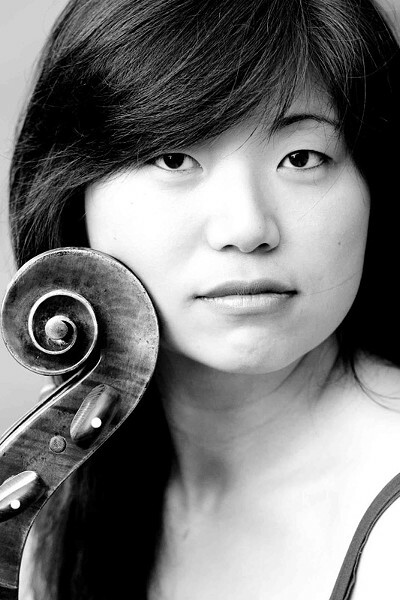 This Sunday, Pegasus Early Music will feature Zhu on cello and on its ancestor, the viola da gamba, in examples from the twin peaks of Baroque cello repertoire: J.S. Bach's Sonata in G for viola da gamba and harpsichord, and his Suite No. 6 for solo cello. The program begins and ends with music of a French baroque master, Francois Couperin (1668-1733) — selections from his "Premiere Ordre" of solo harpsichord pieces; and his E-minor Suite for viola da gamba. For this concert of intimate baroque delights, Zhu is joined by harpsichordist Leon Schelhase and lutenist (and Pegasus artistic director) Deborah Fox. Look to rochestercitynewspaper.com on Monday for a review of this concert. Pegasus Early Music will host "Bach & Bach" on Sunday, March 18, at Downtown United Presbyterian Church, 121 North Fitzhugh Street. 4 p.m. Pre-concert talk at 3:15 p.m. $25 general; $20 seniors; $10 students. pegasusearlymusic.org.